Meatballs are as quintessentially Swedish as it gets. In their most traditional form Swedish meatballs (köttbullar) are made of ground pork and beef, cream, egg and onion, and are served with creamy mashed potatoes, a thick, brown gravy, lingonberry jam and pickled cucumber. The latter adds bitter sweetness as a perfect complement to the savoury meatball. While this style of meatballs may be hearty, filling and delightfully decadent, modern chefs are redefining Swedish comfort food, or husmanskost, as it is better known in Sweden, making it lighter and more healthy. Restaurant Tradition in Stockholm’s Old Town, has famously removed the lactose from the recipe. Another chef who is creating more modern, less heavy versions of the Swedish classics is Fredrik Eriksson at Långbro Värdshus outside Stockholm. For some unique takes on the classic Swedish meatball, check out Meatballs for the People in trendy Södermalm. “The city’s first meatball boutique” serves up 14 different varieties of organic meatballs, ranging from rooster, to moose, ox, wild boar, pig, salmon, reindeer, turkey and vegetable. All the meatballs are handmade from organic, locally sourced produce, and are a sustainable treat for the taste buds. Smaka in Gothenburg’s Vasastan may not look like much from the outside, but, once inside this cose eatery, you will soon find yourself tucking into the most famous plate of meatballs in Sweden’s second city. Served with plenty of mashed potato, lingonberry jam and pickled cucumber, they may not be the healthiest option on the menu, but what does it matter when they taste so good? Malmö offers a rich diversity of different food cultures, but fear not, you can still find some good, old-fashioned husmanskost if you look hard enough. 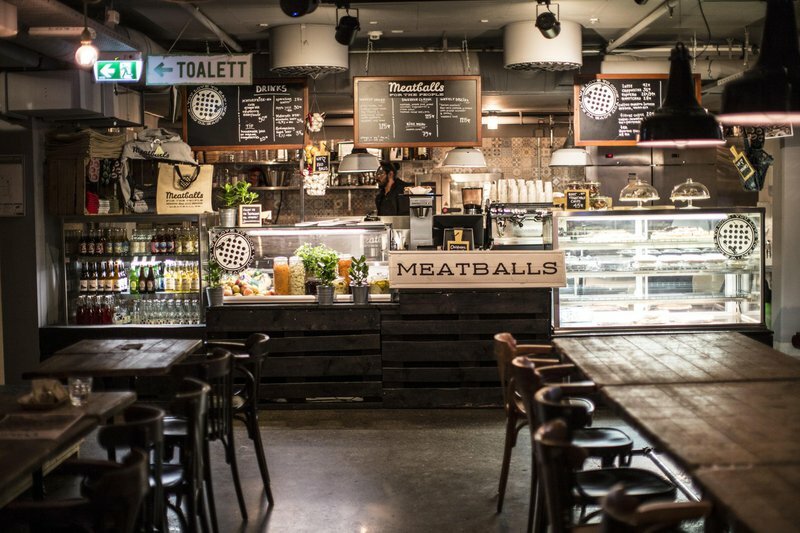 For the best meatballs in town, head to Bullen. This historic pub and restaurant looks more like an English or Irish pub but is known to serve the city’s tastiest köttbullar with boiled potatoes and gravy.